Heiwa(peace), chouwa(harmony), nyuwa(gentleness) and so on…. As can be noted from these words, "wa" is, to a large extent, associated with positive thoughts. Namely, the spirits contained in the word are strong bonds linking people and peace of mind. It is "matsuri" where such potential energy of "wa" is fully charged and then discharged in the form of great power. 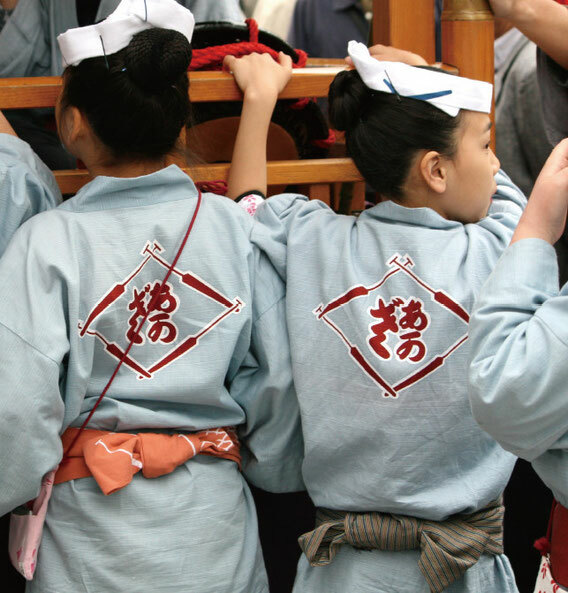 The original form of "matsuri" was "matsurau", to mean to follow deities' wishes. Put differently, in the past it meant rituals and holy events to enshrine sacred spirits but these days the word has a broader meaning that includes formal functions, rites and feasts. In addition, ceremonies, festivals, events and such where many people of different generations get together, cross-fertilize and strengthen the sense of unity may be called "matsuri". "real Japan on" intends to focus on the places and events where the power of "wa" concentrates and to share with our readers its appeals. Digest photograph movie of the Japanese festivals.